The school year is nearly finished and that means that our kids are now free. 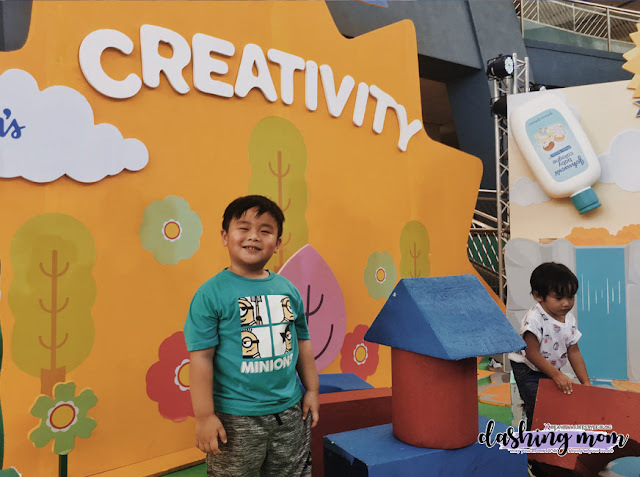 It is either they will be inside the house playing with all of the gadgets like cellphones, Play Station and computer or you can let them go out of the house and explore the surroundings. I'm sure you are one of the parents with lots of what if's in their mind. What if my child gets sick, what if he will be smelly because of the blazing sun but the best part of letting your child out of the field is hearing them laughing, discovering what's beneath the sand. 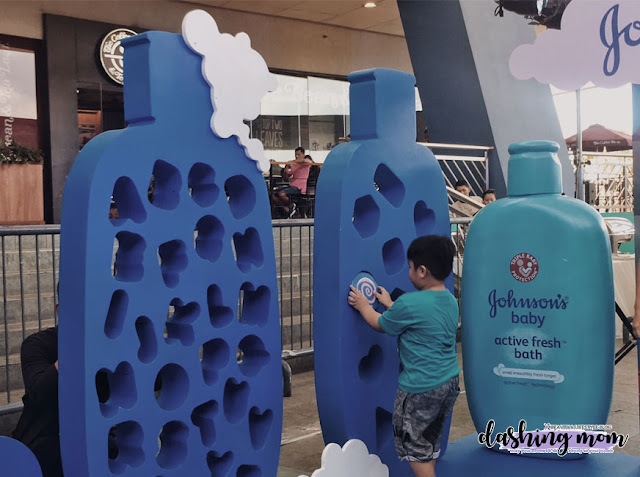 According to the brand manager of Johnson's Baby Philippines, "To a child, the world is a huge playground where they can create and imagine anything they want. What we at Johnson's want to highlight is that playing doesn't end at fun. It really is about learning through free play where they can gain skills like teamwork, creativity, problem-solving and body coordination". Johnson's Baby brings back a bigger event for their Play Days program. Started last 2012 that brings to light the importance of playing in the role of children's learning. Their aim is to make playtime more meaningful. This year they focus on the idea of Play to Learn (Sa Laro Natutuo). 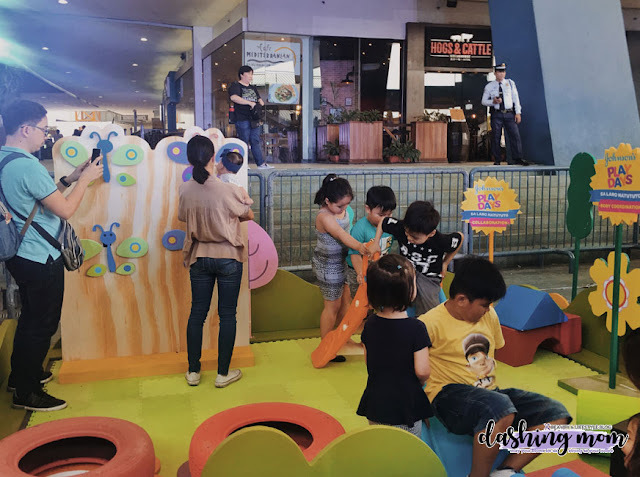 "We have noticed that playing is becoming less of a priority to mom and dad when playtime can be enjoyable and educational as well. We also made sure to give parents various tips that they can do from the comfort of their own home so the fun does not stop with the event. Alde added. When it comes to playing with your children, Johnson's Baby sure that they allow enough time to play to promote cognitive, language, physical, social and emotional development. 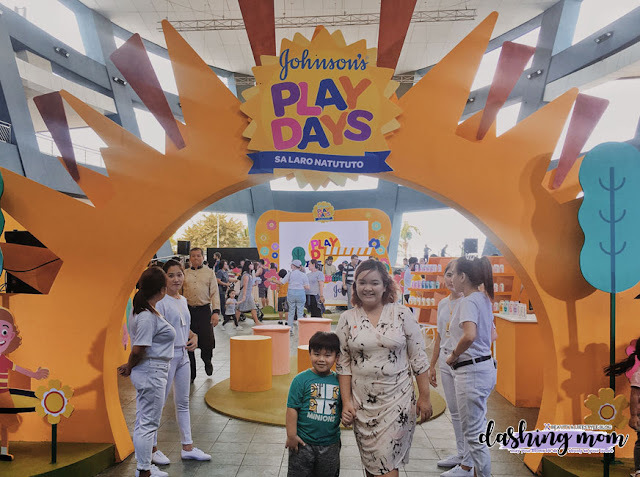 We were lucky to be one of the media partners for the JOHNSON'S Launched Play Days 2019: Sa Laro Natututo held last March 24, 2019, in the SM Mall of Asia Music Hall. Johnson's Baby prepared lots of play zones. Where the children were challenged to fix the puzzle in just 2 mins (I totally forget). There was a blue tub full of puzzle parts in different shapes and letters and the puzzle that they need to solve are shapes like the Johnson's Baby Active Fresh Bath. You can watch my vlog that they below. I saw Harvey having fun at the event. Even though I can see that he is sweating he still smell fresh because of the Johnson's Baby Active Fresh Bath that I used to him during our bath time. I bet that this zone was the favorite one of all the kids, you know why? because they placed a bubble machine wherein kids and kids at heart pop each of the bubbles while enjoying the dance steps prepared by Johnson's Baby. This zone is where you can see your child's body coordination if he can dance with the tune of the music in rhythm. I can say that Harvey and I did a great job on this one. Hello on all of the little builders and creative minds, this zone is perfect for those kids who like to build lego. Harvey builds his own rendition of the house with the use of the blocks present at the floor. He's creativity boosted while thinking of what shape should come first to successfully build a building. Another Zone where kids can play altogether, with a slide, tires to jump off and some kiddie maze. I'm sure Harvey was able to introduce himself to some of the kids and build their teamwork and synchronization while playing here. These four zones highlighted how a child can learn different skills like problem-solving, self-expression, communication, and flexibility. Oh by the way, Johnson's also introduced to us their new Baby Powder Blooms, that is perfect to use after all of those zones, it is the most fragrant powder that will be every mommy's hero when the summer heat comes creeping in and your little ones need a powder that can keep them fresh for up to 8 hours as they stay out to play. Johnson's Powder Blooms along with Johnson's Shiny Drops Shampoo level up the fragrance for a long lasting, refreshing no tears play day!